BLOG - As a registrar, you are actually a travel agent for works of art. I make the arrangements for the trip, such as the contracts and insurance, organize the transport itself and check that everything goes according to plan during the work’s stay elsewhere. 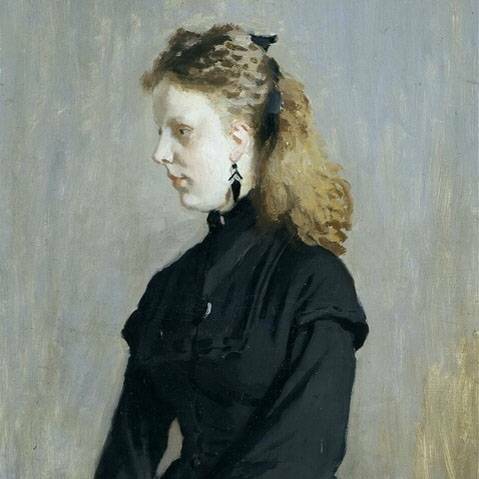 The loan of the Portrait of miss Guurtje van de Stadt (1871) by Claude Monet is a good example of the activities of a registrar. Guurtje is being loaned to the Zaans Museum, where she is on display from 12 September. This story, however, begins not at the Zaans Museum but at the Kröller-Müller. As of 29 September, the museum will present the exhibition For the love of art, which features more than 80 works from 40 museums, all of which have been acquired with support from the Rembrandt Society in the past ten years. For this exhibition we have requested the loan of the painting The Voorzaan and the Westerhem by Claude Monet from the Zaans Museum. As one of the museum’s top masterpieces, The Voorzaan and the Westerhem is actually indispensable in their permanent display. In order not to leave an empty wall and have the chance to show another masterpiece, the Zaans Museum has requested the loan of our Guurtje. And that was also the moment at which my work for this loan began. I forwarded the loan application to our conservator for review. Guurtje has recently undergone conservation treatment (which you can read about here), so I did not expect the request to be rejected. After a positive answer from both our conservator and our director Lisette Pelsers, the letter of intent and the loan agreement could be drawn up. This includes the insurance value and agreements regarding security and climate. The next step is to arrange the transport itself. I made agreements with the registrar of the Zaans Museum regarding how, but also when Guurtje must travel. Because Guurtje will replace the painting that we are borrowing, the exchange of the paintings must take place on the same day. And since we need the painting from the Zaans Museum at a specific time for the installation of our exhibition, the options were limited. The advantage of this is that we can have a truck, from a specialized art transporter, drive to and from the museum on one day. Our conservator also accompanies the work, so she can oversee the unloading and check the condition after the trip and the hanging of Guurtje. 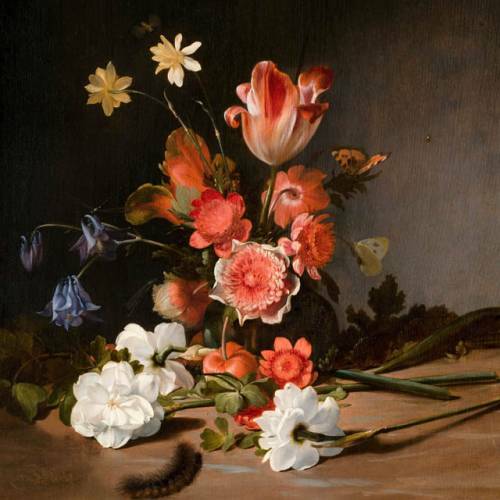 She will then also accompany the painting from the Zaans Museum to the Kröller-Müller. And when this is all done, all that remains for me is to arrange with the courier from the Zaans Museum when to hang the painting. And not forgetting to organize the return journey, of course, because then we do the whole trip again, but the other way around! Read more about the conservation of Guurtje.